Please CLICK HERE for a full list of tryout dates for the 2018-2019 season! Please CLICK HERE for the 2018-2019 Travel Season Practice Schedule! The Delaware Soccer Club is a member of the Buffalo Western New York Junior Soccer League, BWNYJSL. This league is a collection of soccer clubs from towns in the Buffalo and Western New York area. Our Travel teams compete, for example, against teams from Kenmore, Clarence, East Aurora, Hamburg, Amherst, Wilson, Grand Island, West Seneca and Orchard Park. Even though it’s called "Travel" soccer, the longest drive to an away game will not take more than 40 minutes. First and foremost, we want all our Travel players to enjoy soccer and to have fun. We want to develop our Travel players to their highest individual level and always prepare players for the next level. We want all our players to develop the desire to play on their own at home with their friends, watch soccer on TV and watch local live soccer. A close connection to the game will help Travel players to enjoy the game more and develop quicker as a player. 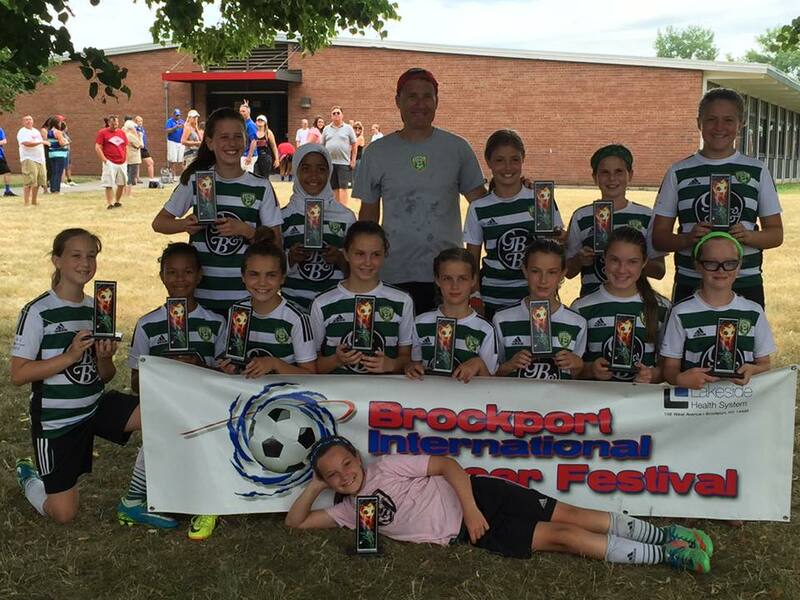 Two packages are offered through Delaware Soccer Club with differing levels of commitment. To play under the "green" package, players must be committed from November 1 through July 31 to your team and the sport. 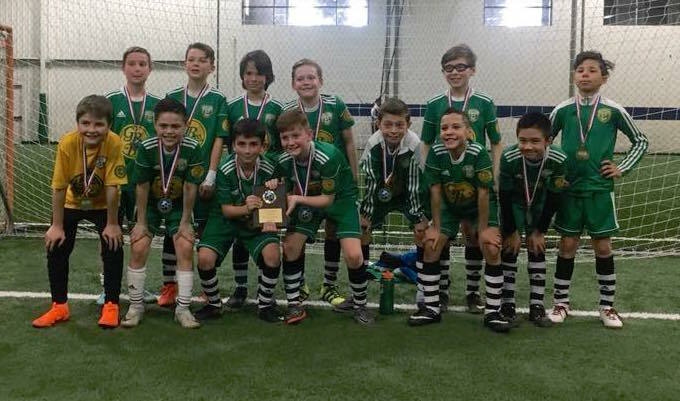 Travel teams practice twice per week and compete in various friendlies throughout the winter with the option to compete in an indoor league at an additional cost in one of the WNY indoor soccer facilities. During the outdoor season, May through July, teams practice twice per week, play a weekly league game and attend one local tournament. Some teams may choose to attend additional tournaments at an additional cost. The second package offered by DSC is the "gold" package and includes all of the outdoor season, from May - July. In either package, players are expected to attend every practice session and all games. If an issue will prevent a player from attending a practice or a game, the coach must be notified as far in advance as possible. The Travel soccer program at DSC is a place for kids who love to play, want more soccer and are serious about becoming a better soccer player. Players who miss games and practices could lose playing time and/or be removed from the program. Note, U8 - U14 players are also encouraged to play Fall House League as well, running from Sept. 4 - Oct. 20. The Delaware Soccer Club fields youth Travel soccer teams from U9 to U19, boys and girls. The U refers to under, as in U10 (under 10). Generally, children play in their appropriate age group, although some children play in older age brackets. A child may not play in a younger age bracket. The soccer age matrix can be found by clicking here and scrolling down to the bottom of the page. Costs for the 2018-19 season includes the "green" package at $695 or the "gold" package at $365. Players will also be required to purchase their uniform at an additional cost. The green package includes all of the following, while the gold package only includes items offered outdoors, May-July. -Two practices per week. During Nov-Apr, one indoor practice will be held at Nardin Academy Athletic Center and one indoor group training will be held at Elmwood Village Charter School on Hertel Ave. A DSC Trainer/Staff will be on site at each of these sessions unless DOC or Coach opts for practice without. During May-July, teams will continue to practice twice per week with a DSC Trainer/Staff on site at least one of those two practices unless DOC or Coach opts for practice without. These facility fees, Trainer fees and field costs are all included in the registration fee. -Competition in the BWNYJSL once a week, May-July. This includes the required NYSWYSA player insurance, U.S. Soccer player pass, Coach background check/Risk Management pass and League bond. -One Outdoor Tournament registration fee is also included in each package. -Additional items covered by the registration fee include various administrative costs, equipment costs and scholarship costs. Note: The uniform will be an additional cost of around $80 for two jerseys, shorts and socks. Teams have the option to join an indoor league during the winter and/or compete in additional outdoor tournaments at an additional cost. Families are also responsible for all travel, lodging and food costs. Payment plans and discounts will be available. Need-based scholarships are also available. Anyone requesting financial assistance must complete the scholarship application during Fall Registration and provide the required documentation. Players will not be allowed to practice or play without financial arrangements in place. No player with an unpaid balance when we move outdoors in April will receive a player pass or uniform. 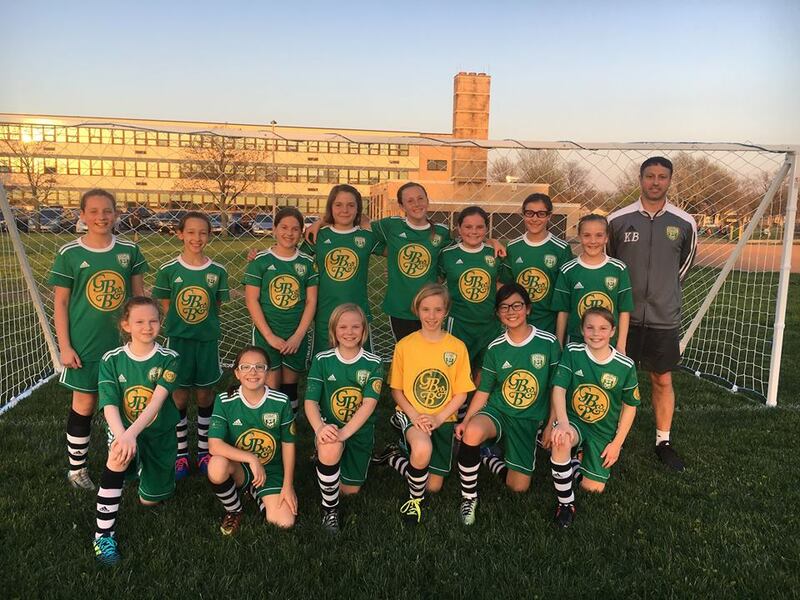 BWNYJSL teams are placed in different divisions, with Division A being the most competitive and advanced. We always try to have BWNYJSL put our teams in divisions that are challenging and competitive. We therefore have teams play in A divisions, but also in D divisions. Being placed in the appropriate divisions makes the season enjoyable for everyone. Go to this link to check out the BWNYJSL website. In the event of an unavoidable absence, notify the coach or team manager well in advanced of the practice, preferably 24 hours in advance. Arrive at the field ready for practice at least 15 minutes before the start time. This includes proper training gear including shorts, shirt, socks, shin guards, footwear, and appropriate apparel for colder weather, as well as water or sports drink). Bring properly inflated ball to each game and practice. U9–U12 size 4 balls, U12–U19 size 5 balls. When you arrive at the field before a practice or game shake hands with your coach first. Besides the fact that this show good manners, it will also ensure that you will have the very important ‘catching up’ moment with your coach. Work on skills at home. It is impossible to expect that players master their skills only during their prescribed training sessions. Therefore, it is imperative that players set aside time at home to work on their individual technique and conditioning. Notify the coach of an anticipated absence well in advanced of the game, preferably 48 hours. Arrive at the field at least 30 minutes prior to kick-off. Be ready to play (this includes proper gear including shorts, shirt, socks, shin guards, footwear, and appropriate apparel for colder weather, as well as water or sports drink). Arrive fresh and ready to play. Arrive at the game well rested. Avoid late nights or spend-the- night parties on the night before a game. More than a few soccer games have been knowingly "forfeited" the night before the soccer match. Fatigue, as a result of too little sleep, raises the risk of injury. Build up body fluids before the game. Start drinking water and or sports drinks as much as 24-48 hours before the game, and try to take in as much proper fluid as possible right up to game time. Eat sensibly, especially on the day of a game. For instance, milk, peanuts or carbonated drinks before a game will shorten a player's wind. Come to games wearing the DSC Travel Soccer uniform and always bring the second game jersey to the game too. Parents/guardians and players are expected to attend every team meeting as requested by the coaching staff. It is the US Soccer and BWNYJSL policy that every player in age groups U12 and below should receive at least one half game playing time in each regular league game, unless otherwise prevented due to injury or absence. It is highly recommended that this policy be voluntary followed at all higher age groups. At the end of the soccer season all our Travel players should have received approximately the same amount of playing time. Come prepared to work hard and learn. Treat their coaches, team mates, referees, opposing players and parents/guardians with respect. Refrain from using foul and abusive language; refrain from name calling and disruptive behavior. Pay attention and listen when the coach is speaking. Be supportive and positive, offering encouragement to the child and his or her teammates. Not yell at the referee or question the call. Treat the officials as we would treat our child. Treat the opposing team and their fans with respect. Remember that the game is for the children. At the Delaware Soccer Club we are very fortunate that so many parents attend the weekly practice sessions and soccer games of their children. This enthusiasm is extremely important for the overall soccer experience and the soccer development of each child, and highly appreciated by everyone in the club. Unfortunately, we will always run into situations where some parents go beyond cheering and their kids become an extension of their own perceptions and sports dreams. Encouragement quickly becomes coaching, and in no time there are twice as many coaches on the sideline than soccer players between the lines. As a soccer club we want to make clear to the parents what their exact role is on the sideline. Everything around the game has to contribute to the soccer experience and soccer development of their child in a positive way. Children learn most quickly in a “safe” learning environment. In this environment, players have the freedom to discover the game by themselves. Soccer is a players’ game and players learn the game by playing. And in this process there is only one person who can help them; the coach. That structure has to be very clear. If that‘s not clear, things become confusing for the young player, the child does not know what to do anymore and the experience and development will suffer. It’s obvious that even the littlest soccer player loves to be cheered on and that parents’ support is necessary and more than welcome. The coach actually needs the parents. But as soon as the child can tie his or her own shoes mom and dad create a safer learning environment by stepping away. And stepping away can also be seen as taking the next step towards independence. Give them a chance. You just enjoy the game! Don’t use foul language. Your children are listening! Be positive and cheer for everyone! No matter how good your intentions are, we insist there be no shouting instructions to your child or yelling (complaining) to the referees during games. Let the coach run the team. Attempting to coach or instruct your child from the sideline is distracting and counterproductive. Your vocal support and positive encouragement are welcome throughout good soccer play. The Delaware Soccer Club insists that the voice of coach be the only voice at all games or training. Remember; there is a time and place for everything. If you need information or wish to ask questions concerning team management or coaching decisions, please contact the team manager to obtain the information or to arrange a meeting with the coach. Concerns or criticisms are welcome, but should be expressed away from training sessions and games. Do not vent your frustrations with the coach right away after the game. Give everyone a ‘cool-down’ period of 24 hours. As a parent, you can play a very important role in the soccer development of your child. Make sure your child attends every practice session and practices away from the team, watches the soccer on TV and attend local club, college or pro games. Also, encourage good nutrition and fitness habits. And help your children to fully honor their commitment to the team and the club.